Candy Canes for Christmas! A simply sweet redwork accent to sweeten up the holidays. Great for those last minute gifts to stitch! Towels to tees or gift bag embellishments, and fun for Christmas pillow cases! 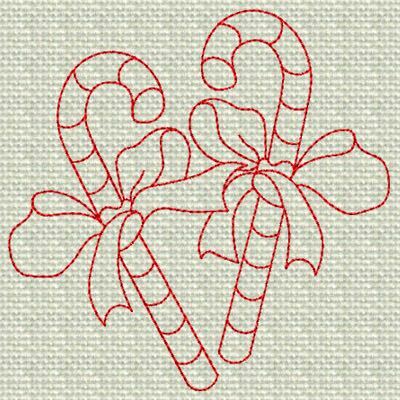 What little child wouldn't love to sleep with candy canes dancing across their pillow on Christmas Eve!